Feeling guilty for being tempted? You are not evil because you are tempted to look at unclean things. You are not a horrible mother because you are tempted to yell at your kids out of impatience or frustration. You are not condemned because you are tempted to doubt. These temptations come as a result of the sinSin is anything that goes against God’s will and His laws. To commit sin is to transgress or disobey these laws. The lust to sin dwells in human nature. In other words, it is contaminated and motivated by the sinful tendencies that dwell in all people as a result of the fall into sin and disobedience in the garden of Eden. This... More in your fleshSin is anything that goes against God’s will and His laws. To commit sin is to transgress or disobey these laws. The lust to sin dwells in human nature. In other words, it is contaminated and motivated by the sinful tendencies that dwell in all people as a result of the fall into sin and disobedience in the garden of Eden. This... More, and it is not because something is wrong with you that you have sinSin is anything that goes against God’s will and His laws. To commit sin is to transgress or disobey these laws. The lust to sin dwells in human nature. In other words, it is contaminated and motivated by the sinful tendencies that dwell in all people as a result of the fall into sin and disobedience in the garden of Eden. This... More in your flesh. “No temptation has overtaken you except such as is common to man …” 1 Corinthians 10:13. It is because of the fall that all of mankind has these innate passions and desiresThe desires that we experience that go against God’s will. In other words, a desire for anything sinful. See James 1:14. Also called “sin in the flesh.” Although the expression “youthful lusts” is often thought of in connection with sinful sexual desires, lusts include anything that go against what is good and right in God’s eyes. (2 Timothy 2:22.; Galatians... More which tempt us to sinTo commit sin is to consciously do something that you know goes against God’s will. This can be in word, deed, or even thought. (James 1:14-15)... More. But the intention is that we should rule over our flesh, not that it should rule over us! (Genesis 4:7) We are not to be slaves to sin, giving in to the feelings that it causes to rise up in us. Impure thoughts, irritation, doubt, these things should not bind us. When, for example, you feel impatient, and you are tempted to yell at your kids, know that you have not at that point sinned! You may feel like you have, because a temptation comes as a feeling that you would like to do something. But as long as you hate that impatience and resist the temptation to yell at your kids, as long as you haven’t consciously agreed that you will allow the impatience to rule your actions, and allowed harsh words and behaviour come out of you, then you are overcoming, even if the feeling of impatience carries on for a while. There are 2 things that are important to do when you experience these strong temptations. Use God’s Word as a sword against the devil, who comes to try to convince you to give in to temptation. “It’ll feel good,” he tells you. Or, “They deserve it.” In the garden of Eden he said to Eve: “Has God really said …?” and convinced her that what she actually knew was wrong wouldn’t really be disobedience to God. But when Jesus, our example and leader, was tempted in the wilderness, He said: “Away with you Satan! For it is written …” And He used the Word of God to send the devil packing. And in order to have a Word of God to use at the time when you need it, then you need to be prepared before you even come to the moment where you are tempted. You need to know His Word. “Your word I have hidden in my heart,” wrote the Psalmist, “that I might not sin against You.” Psalm 119:11. Hide His Word in your heart as well, so that you have it when you need it! Go to the throne of grace“Let us therefore come boldly to the throne of grace, that we may obtain mercy and find grace to help in time of need.” Hebrews 4:16. Because Jesus was tempted, yet did not sin, it is possible for us to come to Him with boldness to receive grace. This grace is so we too shall not commit sin in our... More to get mercy and grace to help in your time of need. (Hebrews 4:16) Your time of need is the time in which you are tempted. Then you can pray to receive help to overcome the temptation. And that help isn’t that the temptation disappears, and that you no longer feel impatient, but rather that you receive strength and power to resist the temptation until it is fully overcome. “My little children, these things I write to you, so that you may not sin. And if anyone sins, we have an Advocate with the Father, Jesus Christ the righteous.” 1 John 2:1. If you do fall, then you can repentRepentance is the act of regretting sincerely the sin in your past with the goal to never do it again. It is making a decision to turn away from evil and to serve God. Repentance is one of the requirements for the forgiveness of sins. (Mark 2:17; Luke 15:10; Luke 24:46-47; Acts 3:19; Romans 2:4; 2 Corinthians 7:10; 2 Peter... More and be forgiven. The throne of grace is also for that. But the intention isn’t that you should fall time after time. Remember, you are to rule over sin! If you do fall, then the intention is that you learn from your mistakes, and do it better next time. That you prepare yourself before you are tempted, then you can be sure you will overcome! It may take time until you come to victory. When you acknowledge the truth about yourself – for example, that you have a tendency to get impatient – and make the decision to overcome that, it doesn’t mean that you will magically stop being tempted to it. What it means is that you will be tempted, and you may even fall again before you come to victory. But if you continue to fightAlmost all talk of battles and wars when concerning a Christian life refers to the inner battle that arises when a sinful thought tempts you. God’s Spirit and the flesh are at odds. When you have decided to only do God’s will and are being led by the Spirit, a conflict between the flesh and the Spirit arises: there is... More, steadfast in your faith, seeking help in God’s Word and in prayer, then you will, bit by bit, finally overcome it all. You will be transformed and renewed and where impatience and frustration used to be a part of your nature, patience and longsuffering will have gradually grown up and replaced it. 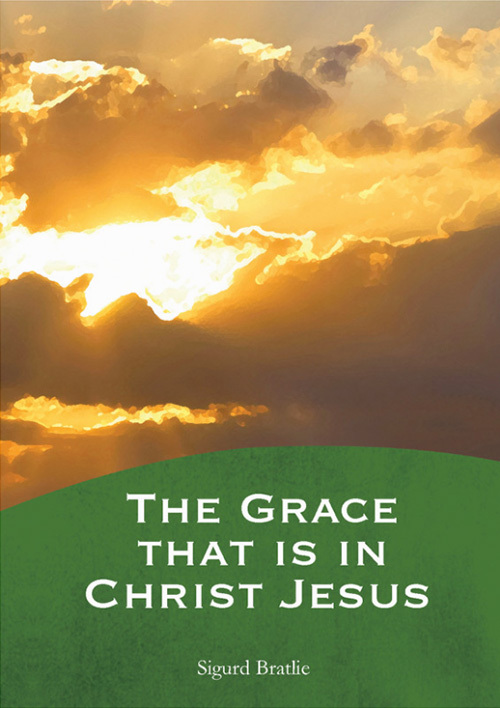 That is the incredible grace that we have in Christ Jesus. That is the faith that you have to hold onto while you are still in the stage of fighting to overcome it. “Now faith is the substance of things hoped for. The evidence of things not seen.” Hebrews 11:1. We all experience temptation to sinTo commit sin is to consciously do something that you know goes against God’s will. This can be in word, deed, or even thought. (James 1:14-15)... More, but in order to overcome, we need to take action! Only by the grace of God! It is true grace that makes us worthy of walking with Jesus in white garments.